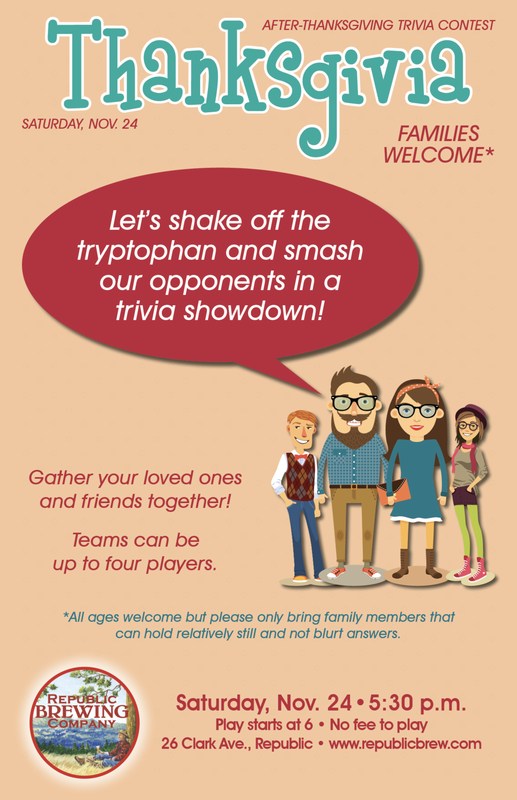 It's that time again to gather your loved ones and friends together, shake off the tryptophan and smash your opponents in a pub-style trivia showdown. ALL TURKEY’S WELCOME! Please bring family members that can hold relatively still and not blurt answers. Teams can be up to 4 players. Registration at 5:30, play starts at 6:00. No fee to play!